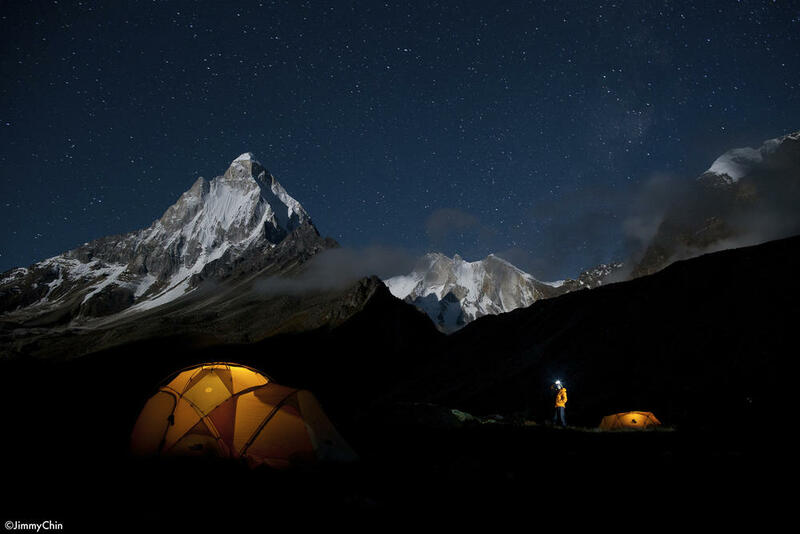 In October 2008, Conrad Anker, Jimmy Chin and Renan Ozturk arrived in India to tackle Meru. What was meant to be a seven-day trip with the equivalent amount of food became a 20-day odyssey in sub-zero temperatures, thanks to the setback of a massive storm that showered the mountain with at least 10 feet of snow. Like everyone before them, their journey was not a successful one. But they had reached further than anyone else. They returned to their everyday lives, swearing never to attempt the journey again. But by September 2011, Anker had convinced his two friends to undertake the Shark’s Fin once more, under even more extraordinary circumstances than the first time around. The documentary film, MERU is the story of that journey. MERU is the opening night film of this year’s Berkshire International Film Festival - screening at The Mahaiwe in Great Barrington, MA tomorrow night. We are joined by the film’s co-producer and co-director, Chai Vasarhelyi and rock-climber and mountaineer, Conrad Anker. Cast members from the 1978 classic National Lampoon’s Animal House are meeting for a reunion at the Mahaiwe Performing Arts Center in Great Barrington Saturday. There’s also a Q-and-A after the screening.